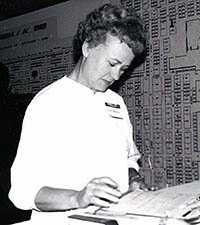 SEMA Hall of Fame - Joan Weiand, 1995, Weiand Industries. Joan Weiand overcame the obstacles that lay before her when she took over Weiand Industries in the wake of her husband’s death. 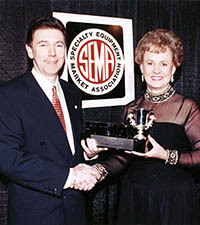 Joan supported industry causes with zeal; she established and maintained a SEMA Scholarship Fund in her husband Phil’s memory.